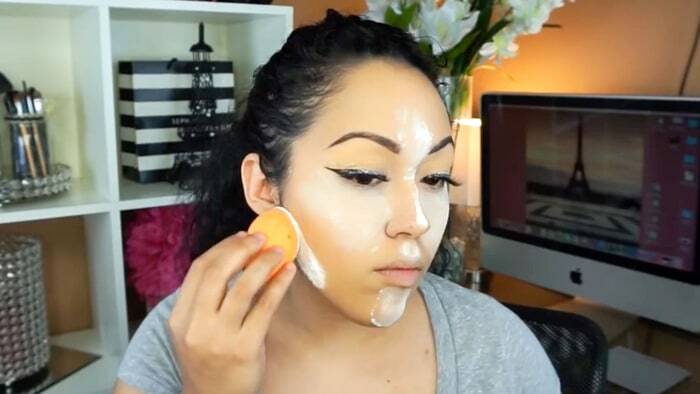 How To Bake Your Makeup / Face? First and foremost thing, moisturize your facial skin nicely. Use a lightweight yet well-hydrating moisturizer for this purpose. Take a generous amount of the product onto your palm and massage it into your skin gently. Take a pea-sized amount of eye cream on the tip of your index finger and apply around your eyes. Massage for a couple of minutes by putting mild pressure with your ring fingers. This will provide intense hydration to your eye area and reduce the appearance of creases or fine lines. 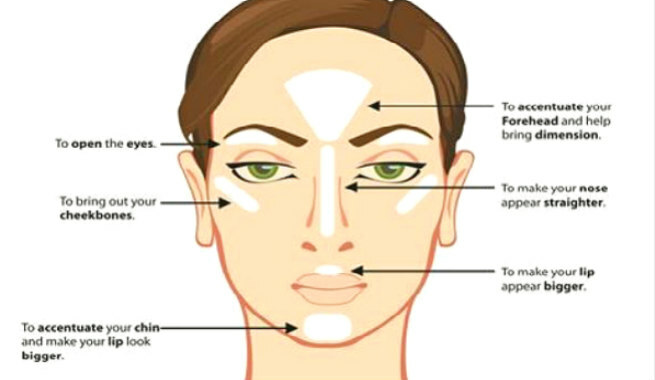 Create the base of your makeup by applying a good makeup primer. If you don’t have a primer, apply a good BB cream that offers light to medium coverage. It will also be equally effective as a base. Dampen the blending sponge and blend it well. Apply a foundation (one shade lighter than your natural skin tone) all over your face right after creating the base makeup. An HD or ultra-HD foundation with extremely light texture will work the best for this purpose. Apply some loose powder over the foundation and allow it to sit for 3 to 5 minutes. This will soak up all excess oils from your face and facilitate the oxidization of your makeup. 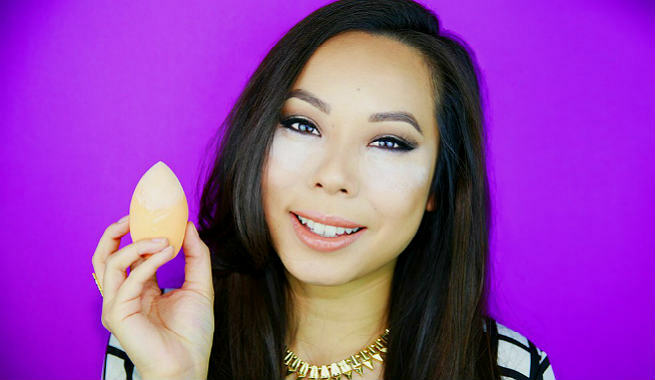 Apply a thick and creamy concealer to your under eye area. Do not apply it like an eye cream. Rather, put small dots in the form of a sideways triangle underneath your eyes right on the cheekbone area. Then, starting from the apple of your cheeks, go upwards and reach your temples. It is even better to go beyond the corners of your eyes and apply the product up to the hairline. Blending is the key when it comes to applying concealer. Hence, dampen your blending sponge (cosmetic wedge sponge can also be used) slightly and blend the product in so that it is set nicely. Make sure that you smooth out the fine lines and creases well while blending the concealer. Remember, the better it is set, the lesser it will crease. Apply some more concealer on the previous one. Be generous with the quantity and follow exactly the same path for the application you have followed in the last step. 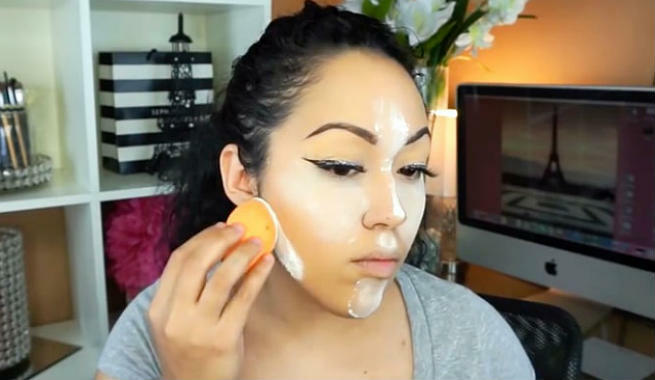 However, do not blend the second layer of the concealer as you need to ‘bake’ or ‘cook’ it this time. Dust loads (and we mean it!) of translucent powder on the entire patch of concealer by using the large, fluffy eye shadow brush. For the maximum effects, dip the brush in the powder container, dust it on, and repeat. The trick is to apply the loose setting powder in multiple layers in order to facilitate the setting of the base makeup. Now, leave it on for 10 to 20 minutes and let the concealer as well as the whole base makeup ’bake’ or ‘cook’. We know it is extremely annoying to sit for such a long time with your entire face ‘floured’ with powder but you cannot help it. Precisely, it is the ‘baking time’ or ‘cooking time’, which is the secret to the flawless end results and hence, cannot be compromised with. Once your base makeup finishes baking, dust the loose powder off your face with the help of the fluffy brush. 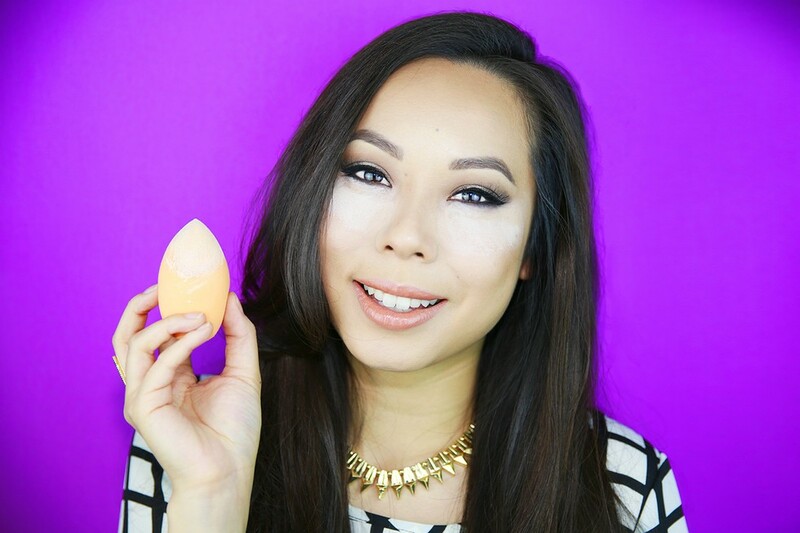 Slightly dampen the cosmetic wedge sponge with the makeup setting spray and blend the concealer into the skin. Be very careful at this final stage of blending and ensure a smooth crease-free finish. Then, apply a layer of the pressed powder all over your face to blend the harsh edges (if there is any) and provide some more coverage (if still needed). Set the entire makeup with the makeup setting spray. Voila! You are BAKED now!